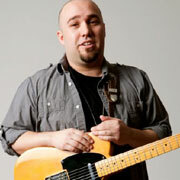 A young, professional guitarist, Nick Montes has over a decade of performance and educational experience. He recently returned home to the Bay Area from Hollywood after an intense course of study at the highly-regarded and competitive Guitar Institute of Technology at Musician’s Institute. During his studies at MI, Nick had a unique opportunity to focus on music theory, performance, and composition under many professional studio session and touring musicians, including Scott Henderson, Carl Verheyen, Allen Hinds, Sid Jacobs, Keith Wyatt and Ross Bolton. Prior to attending the Musician’s Institute, Nick was a student at Diablo Valley College, mentored by both Steve Sage and Patrick Bradley, two of the area’s most well known educators. As a performer, Nick has played lead guitar with numerous Blues, Country, Rock, R&B and Funk bands, including Go Kart Mozart and Jump Back. He continues to perform and record, in addition to teach music to both children and adults. Nick is currently our group guitar instructor for the after-school program at Arroyo Seco Elementary.